The Red Sox are back in town—and so are The Evil Ones! But, don't even try to park near Fenway—the word is that Lansdowne Street will now also be closed to traffic—in addition to Yawkey Way. We can't argue with the reasons—mostly security-related—but it will make getting to games even harder than usual. If you park in The People's Republic of Brookline—your car will disappear faster than Kim Jong-un's standing with Communist China. 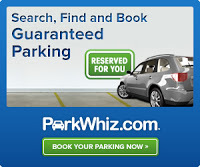 You can, however, get a decent parking spot near Fenway by logging onto ParkWhiz. For a few years now, our readers have been able to dispense with part of the angst of going to Fenway—although we can't help you avoid kale-laced food at the NOG's trendy concessions. To get a great spot near Fenway Park, click HERE.